The long slumber of Summoning is over at last. After seven years resting in the barrow mounds of Middle Earth, the spectres of Protector and Silenius are abroad in the land again! 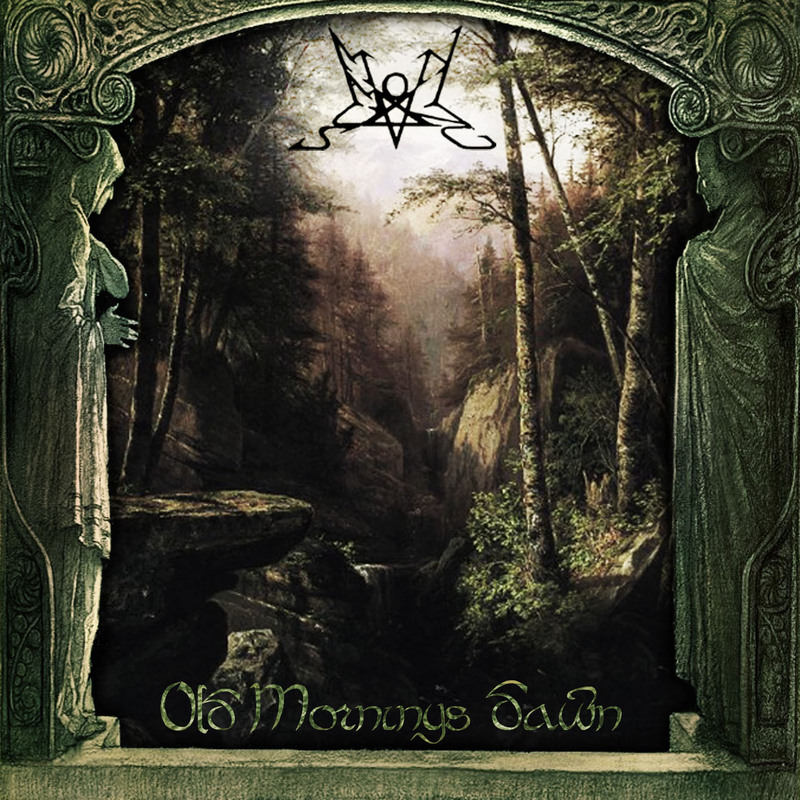 This time these stern minstrels of elder ages and dark realms bring us a new epic entitled "Old Morning's Dawn", a wonder full of the mystery and melancholy of a place far removed from this dull and pedantic world. Summoning is quite the unique band. With deep roots in the black metal scene of Austria, they have slowly evolved a morose and epic sound that owes just as much to folk, classical and ambient as metal. They are the reigning interpreters of J.R.R. 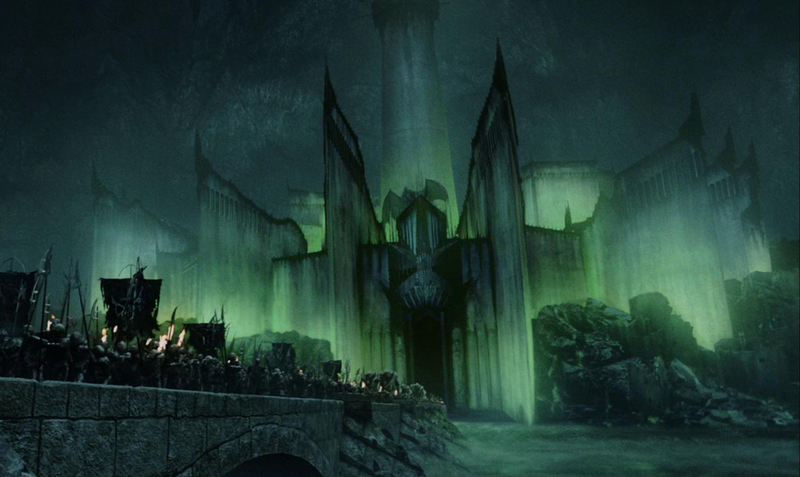 Tolkien's mythic realm of Middle Earth. The duo keep their own counsel and shun the light. WORMWOOD CHRONICLES: Summoning has released a new album after many years....What did thework entail in the making of "Old Mornings Dawn"? What separates this, in your mind, from previous Summoning releases and what was it like this time? PROTECTOR: Generally, the overall sound of the album is more direct and clear. We did not use so much reverb this time and took more care to create a sound where the listeners can distinguish better between the different melodies playing at the same time. Also the guitars now sound more varied, due to the more clear sound and the deeper mixing that interferes less with the high keyboard melodies. Like always, the final result was not long planned but grew organically during the months of mixing. The original sound of the guitars was closer to the guitars of "Oathbound", but then Silenius noticed on his car radio that guitars sounded too penetrating and shrill so we completely rearranged the sound and put everything much more into the deep frequency spectrum. At first we were not sure about it but then we realised that this was a great step forward and that it gave the songs more power and a better balance to the keyboards. WC: Your lyrics are inspired or taken from Tolkien texts, if I am correct...What would you say about the author and his works, and how did you first get involved with making the music for Middle Earth and beyond? Are there any events in the stories that you hold as favorite parts or passages? we thought of making a change of the lyrical concept. 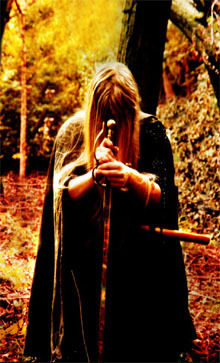 In those times we thought to make a concept album about "Das Niebelungenlied", but in the end we did not realize this idea and maintained our place in the Tolkien universe, and we are satisfied with this decision , so the overall work of Summoning has a strong unity. While our demos have mostly satanic, pagan and occult lyrics , we had some Tolkien influences on our debut album "Lugburz". With the complete musical change after the departure of our drummer ,we thought of a complete change of the occult lyrics into a more fantasy influenced universe, and of course a Tolkien universe was the right one as I have been a big fan of his works since my time as a teenager. I do not have favourite parts; what I love is the complete cosmos with all its details in history, landscapes and languages. That's what makes the Tolkien universe stand apart from all the rest. mood itself, and have you ever considered using a more Hobbit style influence for the music? One character that always intrigued me was Tom Bombadil. WC What other authors do you admire outside of Tolkien and Moorcock? What other classic texts would you consider using for summoning or what do you enjoy reading in this sense? album. So basically I can say that since "Stronghold" we have a mixture between 70% Tolkien poems and the rest is from different writters, and one percent are writtings of my own, mainly for the clean choirs. WC: Are either members currently involved in any other projects, such as Ice Ages, or otherwise? P: I released the third album of Ice Ages right after the release of "Oathbound", After that I did some Ice Ages remixes for other bands, but did not work on new songs. Anyway, now I feel that I am ready to work on new Ice Ages material in the near future. S: Some years ago I finished the third album for Kreuzweg Ost called "Gott Mit Uns" again for the english label "cold spring" records. I also have done vocals for a special Abigor vinyl single which will be released later this year on Avant Garde Records, and like always, I will do some session vocals for Amestigon later this year. WC: As for the pair of collaborators in Summoning, how does your relationship work in a writing sense, and how do you go about his as a fellowship? S: Usually I start to make the basic riffs for one song, and Protector is doing some melodies over it. but this time both of us, made a lot of melodies and riffs. This time we often deleted riffs again and made new ones, and made a lot of experiments when it comes to sounds and song structures. but meanwhile both of us are of course experienced enough to know what fits the music and we always have a clear vision of how Summoning shall sound, despite all experiments. WC: Are there any films or music you hold to be great- literature, perhaps? S : I listen and buy a lot of music from the genres: dark ambient, industrial, folk and ritual, and I watch a lot of movies, mostly arthaus films, but also Hollywood movies. but all of this has nothing to do with Summoning and does not influence me in making music for this band. WC: Have you ever had a supernatural experience that you would share with us at this time? Or do you even believe in such things like the paranormal or spiritual realms? S: No, I am not King Diamond! WC: Summoning has the ability to create wondrous, dark realms and landscapes. How much are you inspired by nature in this sense, and is there a call to go there for you? What is some of your favorite places in Austria, or abroad? S: As I grew up in the countryside as a child, this influenced me a lot , of course. Later when I settled in Vienna because of my work, I soon realised that although it was great to live in town with all those possibilities there, I usually get nervous after two weeks staying just in town, and so I have to get out whenever I have free time, Then I make long trips to the countryside near my small hometown. That's a kind of recharging and a very important process of relaxation. WC: What are some of your favorite memories when you think back with your time in Summoning? Is there any you might share with us at this time that stands out? S: There have been a lot of great moments in the past. The first 5 or 6 years especially have been very turbulent. The beginning of establishing the black metal scene in Austria. the first releases, all the alcoholic session in our former practicing room, the parties with the label, the meetings with other bands who visited us like Morgul or Penitent. All those have been great times, but meanwhile i live a normal life, very relaxed and almost retired. WC: What does the future now hold for Summoning? Will you continue to make recordings, and what do you envision for such paths now? S: We have placed a kind of releasing plan for this and next year on our homepage. There will be some special editions. some vinyl releases of our back catalog, and there is still some unrelelased material from our "Old Morning's Dawn" session that we will release next year. So you see we are quite busy at the moment and that's of course great, after this 7 years sleep. WC: The last words are yours. Thank you for your time, and for so many great, epic albums throughout the years! S: A big hail to all our fans who have not forgotten us. we really have been astonished that so many people still wanted us back.